"After months of testing" at Mayo's Rochester campus, Denise's doubts about her diagnosis were confirmed. Doctors told her she did not have dementia but instead was suffering from autoimmune encephalitis — a diagnosis that, in short, meant "her immune system was attacking her brain," the newspaper reports. Denise underwent surgery and found herself "lying in the hospital to face an uncertain future." That's when she met Alta, a four-year-old golden retriever that spent time with her as part of Mayo's "growing Caring Canines program," the paper reports. The response — and connection — were instant. "It was love at first sight," Denise tells the paper. "It made such a difference in my recovery … I never felt like I was quite alone." Jessica Smidt, a former veterinary technician who was hired to oversee and expand Mayo's Caring Canines program, tells us interactions like this are not uncommon. "We just met with a little boy who recently came to Mayo Clinic for the first time, and the only way they could get him to be calm was for him to meet one of our dogs first," she says. 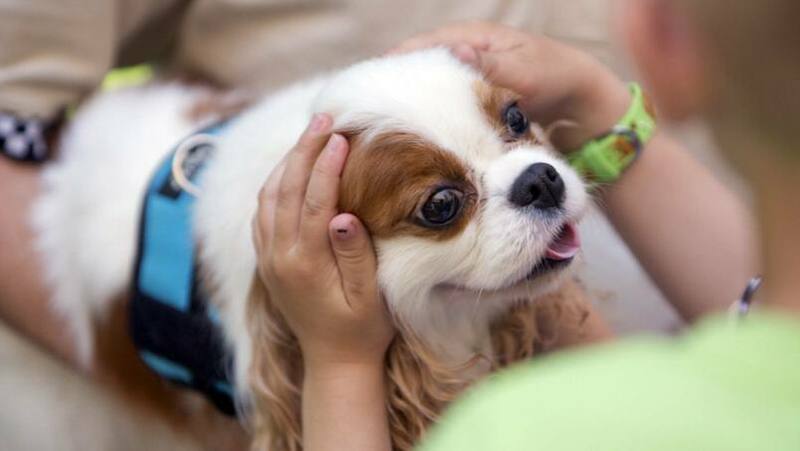 During Smidt's time as Mayo's healing enhancement therapy coordinator in Rochester, the Strib reports, the Caring Canines program has grown from six to 30 dogs. And this "expanded roster" has "allowed Smidt's team to report more than 11,000 patient interactions in 2015, totaling more than 2,100 hours of volunteer time." It seems those interactions are having quite an impact on patients like Denise, who tells the paper that her time with Alta — who happens to be owned by Smidt — has "given me my life back." And while that life may no longer include spending her retirement years in Big Sky Country, it's one that does include her now being back on her feet with a "much better state of mind." You can read the rest of Denise and Alta's story here. And for anyone interested in becoming part of Mayo's Caring Canines program, Smidt tells us the need for more dogs "grows every day." To help fill that need, Mayo Clinic will be hosting a therapy dog training class in Rochester in early January 2017. You can contact Smidt for more information, or to sign up. Then share your comments below, and share this story with others using our handy social media tools.